The Marketing VP of Nevada Nano, Mr. Mark Brandemuehl, assigned me the design of their PowerPoint Investor Pitch Deck, related to the launch of their new product called Digital Scent, an innovative silicon technology which electronically measures and identifies many gases using a chemical analysis system. "Miroslav was fast, did a great job without detailed guidance." 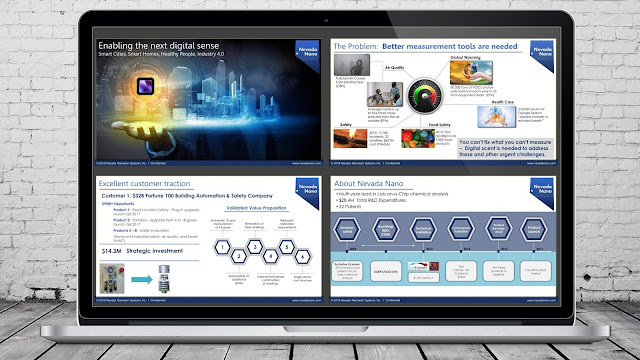 Professional PowerPoint Design of Investor and Sales Pitch Decks, Company and Business Presentations, Webinar and Training Slides.